Many people use exercise or stationary bikes to lose weight, improve their fitness and boost their overall health. Here we first discuss different benefits for both upright and recumbent bikes then provide the top list including both types of exercise bikes for weight loss and fitness. Compared to running on pavement or on a treadmill, these exercise bikes are easier on joints. That’s because these bikes offer low-impact workouts. They are especially suitable for those who want exercise equipment for their home gym which doesn’t take up lots of space while providing a vigorous workout. Now one of the most asked question in this topic is which type of stationary bikes is better. As many might already know, recumbent and upright are the main two types stationary exercise bikes, each with their own design and benefits. Upright bikes are designed almost like any regular bike. Compared to recumbent bikes, these ones are smaller. So for tight workout spaces they are the right choices. On the other hand, recumbent bikes are best suited for the elderly. The reason is that they provide a comfortable seating position and their design is so that they support users back. Also, people who suffer from joints pain might want to select this type of bikes as well. With excellent comfort level and design, Comfort U is an upright bike which comes with a gen and large seat which is vertically and horizontally adjustable. The machine is also equipped with built-in speakers and a 5.5” LCD display. Comfort U features 10 pre-set workouts. And daily workouts could be changed through provided options. Also users could select from 16 levels of resistance. In addition, while working out with it, users could have accurate heart rate reading since heart rate watches or chest straps are compatible with this bike. This bike could be purchased from johnsonfit.com for $619. 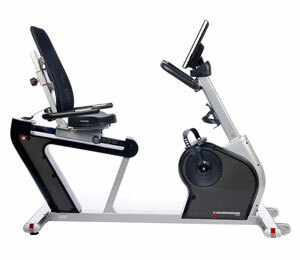 Diamondback 510SR is a recumbent bike with lots of options and features. It provides 16 resistance levels and 20 workout programs. The LCD display of the bike comes with real-time feedback. Users could see total time of workout, speed, distance and the calories burned. Seat base and back are sculptured. And also, the large chair, arm rests and console could be adjusted as well. 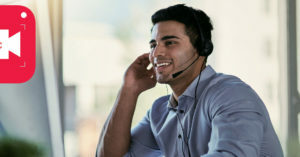 Other features include: cup holder, adjustable cooling fan, foldout magazine rack, integrated speaker system, scrolling message center, QuickSet program keys, and so on. 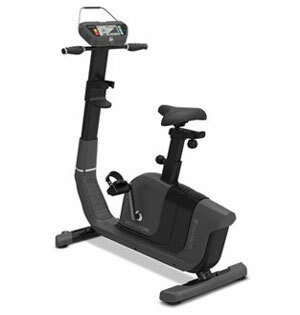 Diamondback 510SR Fitness is listed at Amazon for $799. Users could get the perfect workout through a large number of settings and options provided by NordicTrac GX 4.4 Pro exercise bike. It offers 28 programmed workouts letting users to focus on improving their performance, increasing intensity or burning calories. In addition, the bike comes with lots of other features such as integrated tablet holder, 300 lbs. user weight capacity, water bottle holder, transport wheels, wireless chest strap compatible, extra-wide ergonomic pedals, heart rate monitor and oversized cushion seat. 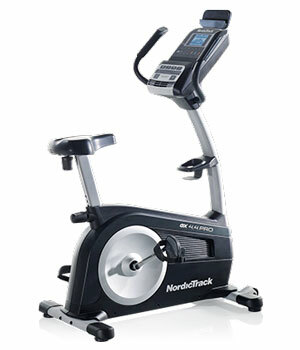 This upright has been priced $499 at nordictrack.com. 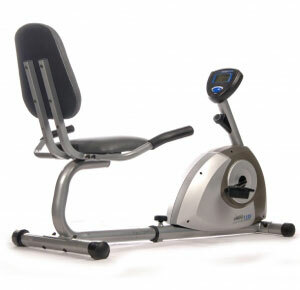 For those needing a cheap and basic recumbent bike, we recommend Stamina 1350 which provides more in the line of simple joints strengthening and endurance-building exercises rather than workout programs with different levels of resistance. The bike comes with an easy-to-read monitor with one-button control which displays main information such as burned calories, speed and distance. Additionally, users could adjust handrails and seat to various positions. The amazon has Stamina 1350 for sale with a $173.57 price tag.